Don't let the man bring you down! 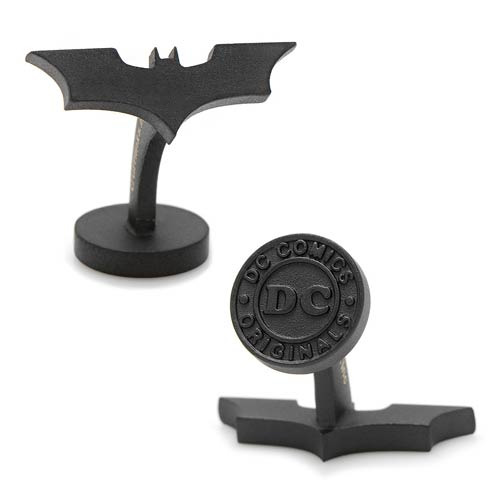 Keep it nerdy with the Batman Dark Knight Satin Black Cufflinks are constructed of plated base metal with a matte black finish. Cufflinks measure approximately 3/4-inches in diameter with fixed logo closure. Officially licensed by DC Comics. Ages 17 and up.